Varicose veins are enlarged and dilated veins commonly seen in the legs which have a bluish-purple discolouration. The veins return blood from the organs and extremities to the heart and this is possible because of the one-way valves within the veins which allow blood to flow only in one direction. When these valves fail to function satisfactorily, the vein is unable to maintain the uni-directional flow and subsequently they enlarge and varicose veins develop. In most instances, patients are concerned about the cosmetic appearance of their legs. However, some patients may develop symptoms of heaviness and aches in their legs and sometimes throbbing and muscle cramps. More serious risks include bleeding from large varicosities, skin changes of increased pigmentation (darkening) around the lower leg and calf area and chronic ulcers or sores which are resistant to healing. 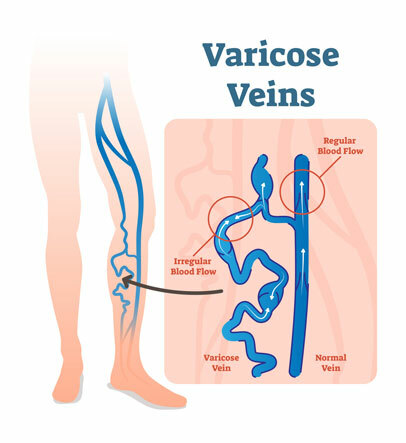 What are the complications from Varicose Veins? Blood clots – can develop in the varicose veins in your leg which appear as painful red tracks along the skin referred to as superficial thrombophlebitis. The deeper veins can also be affected by blood clots and this presents with swelling of the leg. This requires urgent medical attention to prevent further complications. Ulcers or sores can develop over the lower half of the calf and leg area. These ulcers can take long periods for complete healing and treatment of varicose veins may help prevent recurrent ulcerations. Your doctor makes an initial diagnosis of varicose veins based on the clinical examination. You will require a duplex ultrasound scan which will help identify the site where the valves are incompetent. In-addition, it will also help clarify whether the deep veins are functioning well. This information is important to help plan how best to manage the varicose veins. Different methods are used for treating Varicose Veins. 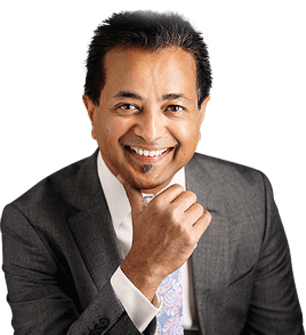 The best approach for your Varicose Vein treatment should be decided in consultation with Dr Mylankal. Unfortunately, one cannot prevent varicose veins. The risk factors discussed earlier can increase the chances of developing varicose veins and so it is important to exercise regularly and aim to lose weight.